One wonders what it might take to be acknowledged as a “noted You Tube scholar” by Meridian, but that must be left for another day. Instead, I want to ruminate a bit about a “tabernacle camp” at BYU-Provo that is to help teach students about the tabernacle’s “ancient biblical context.” According to “noted You Tube scholar” Daniel Smith, “the best way to understand something is to experience it,” so let’s run with that for a bit—we are going to provide students with a spiritual and religious experience from the ANE circa late second millennium BCE. Since it’s the second millennium BCE, we’ll deal with the males first – naturally. There’s gonna have to be a campus-wide email blast confirming that the policy on facial hair is suspended until further notice to permit males to grow full beards a la Joseph F. Smith. The Title IX office will be tasked with marking out the lines past which no women are permitted in order to ensure the purity of the space around the material representation of the deity; violators will be referred for honor code violations or maybe just stoning. The Semitics Department, who are acknowledged experts in these ancient temple things, will be charged with inspecting males for circumcision and unblemished testicles. Parts aren’t just parts in this era. Taylor Petrey is Tenured: What does This Mean for LDS Scholars of Religion? We’ve been running our Tips on Applying Series for nearly a decade. We heard from Taylor Petrey back in 2010 when he offered some advice on securing an academic position in religious studies. Taylor has recently received tenure, which is a big deal not only for him, but for all Latter-day Saints involved in the study of religion. He graciously agreed to talk to us about his work and how he earned tenure. We here at FPR have learned that Mr. Stephen Smoot has been accepted into the MA program at Trinity Western in Biblical Studies. This is a significant first step for Stephen and we are very pleased to offer both our congratulations regarding his acceptance and our best wishes for his future. He has chosen a tough and complicated path but we are confident that he will also find it to be as rewarding as have we. I might also add, personally, that there still seems to be a bit of confusion arising from a recent post here regarding the intersection of certain approaches to apologetics and acceptance into graduate programs. The point made in the original post was that some activities might make the process more difficult, but what seems to have been understood was that such things are categorically impossible. I regret the confusion and am pleased to have had the opportunity to disambiguate the message. (Part 1 here; part 3 is now up). Faculty issues at BYU are funneled through the office of the Academic Vice President. For our purposes it is important to know that the office of the AVP deals with faculty hiring and firing, promotion and “tenure” (“Continuing Faculty Status”*) and discipline. Thus when a department sends one of its own up for tenure, it will pass through the offices of the Chair, Dean, and AVP. Promotion can be vetoed at any of these levels, including the AVP. This is fairly standard procedure at universities, although in my experience the basically unappealable decision of the Dean or AVP at BYU, i.e., the way the power is wielded, is unusual and is related to the quasi-theological, top-down structure of BYU. The AVPresidency is currently held by a prolific professor of engineering. ** I mention this because when it comes to the particular and sensitive issues surrounding religious education, history, sociology, or anthropology at BYU, he possesses no formal training (either in religion or in the Humanities). Again, this is of course not required of persons in analogous positions at other universities, but it is of increased importance at BYU given the particular concern it has with religious instruction, where all power to adjudicate issues of academic freedom and hiring and firing when it pertains to religion is placed in the hands of this person with no accountability to anyone below him. *** One assumes the AVP takes advice and recommendations from approved channels and trusted sources, though s/he need not as a rule. One further note on hiring is necessary: BYU operates differently from most other universities of its size and reputation when it comes to the approval process for hiring. When any BYU department posts a job advert, a potential applicant will make application through BYU’s electronic jobs database, (again, not unusual in itself). What is different is what happens after the applicant submits her/his application. Before the departments are allowed even to give a conference or skype interview to an applicant, they must receive approval from the AVP, if not higher (I do not know whether it goes higher at the applicant stage; I assume not. I do not think this is standard procedure at secular schools; I think it’s even fairly unusual compared to BYU’s own recent past). The AVP regularly (and, in my experience, with greater frequency in the past few years) denies candidates, telling the departments whom they can interview. The AVP need not (and does not under normal circumstances) tell the department anything about why the candidate was denied. In some cases candidates have been denied notwithstanding the vocal protests of the dean of the college to which the person was applying. In other cases, such as in a recent unexplained denial of candidacy to a history department applicant, the AVP denied candidacy apparently because of bad personal blood between the administration and the candidate, though again the reasons are never disclosed. The AVP need not give any reason. In the last two rounds of hiring I am personally aware of about twelve excellent candidates, strongly desired by the departments, strongly desiring to teach at BYU, who were denied at the AVP level for reasons undisclosed. In some cases this obviously protects ecclesiastical information about the candidate. But it is also a most troubling shield from sunny antisepsis, especially given the room for abuse of this power. In response to these denials, some faculty were able finally to ascertain from the AVP that one of the AVP’s criteria for denial was whether the candidate had published in the journal Dialogue, regardless of the content of the publication. Some faculty asked the AVP directly whether this was true, and the AVP confirmed that while he is AVP, no one who publishes in Dialogue would be approved for employment (or even for interview). I am not sure whether he still holds this to be the case, but the point is that it is a criterion that he chose, with no accountability even to the deans of the colleges. No appeal. No transparency. No discussion. Not even a memo informing the departments that Dialogue is anathema and so they would be advised to alert potential applicants not to apply there. Potentially excellent faculty members have unwittingly ended their BYU careers before even making it to interview. To my knowledge this is not a direct violation of academic freedom (because the candidates are not employees of the university), although it clearly flies in the face of the spirit thereof. To be sure, I know of no instance in his term in which an employee was fired or denied tenure for having published in Dialogue or somewhere similar. But it is easy to see the effects this has on departments, and especially on Religious Education, in terms of their freedom to pursue and publish research. First of all, I know many candidates who would have made excellent faculty who simply did not apply, either to Religious Education or to History or Sociology because they have recently published in Dialogue. More important, many, if not most, existing faculty already at BYU (especially younger faculty in Religious Ed) will not even consider researching or publishing on some of the most important current topics (gay marriage, gender, women and priesthood, etc.) in this climate. This is especially salient at BYU, which already has no tenure status and so even senior faculty remain exposed (again, the thing the concept of academic freedom is supposed to prevent). Thus not only do the recent denials of candidacy severely limit the kinds of applicants who will come and weaken BYU’s potential, they also serve as a clear and resounding shot across the bow of any BYU employee who would risk their and their family’s well being by applying themselves to the research and publish on some of the most pressing questions the Church faces. All because of the unassailable decisions made by an engineer in BYU’s administration building. It could be that he is enacting the wishes (explicit or assumed by him) of the Board, but we would never know, and he would be under no obligation to disclose that. From the current vantage point, it seems at best an unreflective and damaging zealotry, and at worst a bald-faced abuse of power. The point, however, is not to declaim such abuse, but rather to contemplate the reasons it can even exist. It is weaved into the fabric of BYU in such a way that makes one wonder whether academic freedom, especially when it concerns research on religion, is even a possibility there. The door to the very abuses academic freedom is supposed to protect (freedom from termination because of political whims or administrative offense) is therefore left wide open. Turn the eye of reason wherever you want, BYU seems to say, except inward or on the Church. My frustration in this post comes because, first, I would love BYU to lead out in important areas, especially in Religious Studies, and to be a healthier, stronger institution. I have no desire to see its demise. 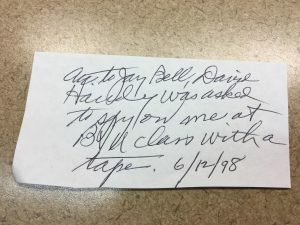 I think addressing some of these problems would go a long way toward the reduction of public embarrassments that were witnessed recently (Randy Bott, Alonzo Gaskill, RelEd Curriculum, illegal surveillance) and, more important, to the hiring of faculty who will enhance BYU’s reputation and better guide its students. The real shame of this structure is in the way it manifests a clear and continual antagonism and mistrust on the part of the administration toward its current faculty. In my experience the vast majority of BYU faculty members want BYU to succeed as a uniquely LDS university. They care very much about its students and their success in negotiating a transition to adulthood as faithful Latter-day Saints. They have deep experience stemming from their own negotiation of this transition, and they want to help their students do the same, to give them a better launch maybe than the professors themselves received. They want to help students in their search for truth and mastery of skills, and to deal with their doubts and questions in constructive ways. The remedy is theoretically simple: the Board of Trustees must trust its faculty enough to invest power in them as a collective body, a power that they do not currently possess. It will make BYU a stronger, better institution, better able to deal with the rapidly changing landscape. It will allow for the rehabilitation of areas of inquiry vital to the mission of the University and Church that have atrophied because they have been denied the oxygen of accountability and appeal. It will create an ability to identify and rectify abuses of power among administration as well as faculty and create a stronger sense of commitment to the University and to its mission. My recommendations for this will come in part 3’s Appeal to the Board of Trustees. *CFS, practically speaking, grants the faculty member freedom from firing on professional grounds but reserves the right to terminate the professor on religious (read: worthiness/apostasy) grounds, in which there is still tremendous room for interpretation. 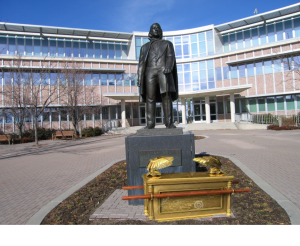 There is no tenure, strictu senso, at BYU. ** I do not give his name, though it is readily available on the internet, first of all because I mean him no personal harm nor ill, and second of all because the current occupant is in a broad sense irrelevant to this discussion. Some of his personal decisions, as I discuss below, are relevant but only to the broader issue of the power wielded by one person with no accountability to the faculty working under him. Hints of this power exist also at secular universities, but it is particularly pronounced at religious schools, BYU included. ***As there would be, in some measure, at schools with a Faculty Senate or of course a labor union. There is no Faculty Senate at BYU; there is a Faculty Advisory Council, which is toothless in comparison. Several years ago I was asked to accompany an investigator to church.We showed up a few minutes early and sat in the chapel. On the way to church, this investigator explained that he had never been to a Christian service before. He seemed quite eager to take in the experience. In line with Daniel Peterson’s recent comments, I see significant points of congruence between apologetics and religious studies. I also see no reason why the same institution cannot pursue both endeavors—particularly a private religious institution such as BYU. I do think, however, that much of the apologetics advocated by Peterson is better off done at another venue (congratulations to those involved with the new Interpreter project). At the same time, a more appropriate kind of apologetics can (and should) remain at the Neal A. Maxwell Institute.